Apple released the iOS 12.1.4 update for iPhone, iPad and iPod touch on Friday morning, this update to fix a FaceTime group chat vulnerability that could be used to eavesdrop on calls. Apple previously blocked the vulnerability through the offline FaceTime group chat server, making the feature unusable. Currently, all devices that can run iOS 12 can be updated to iOS 12.1.4 via Settings – General – Software Update. 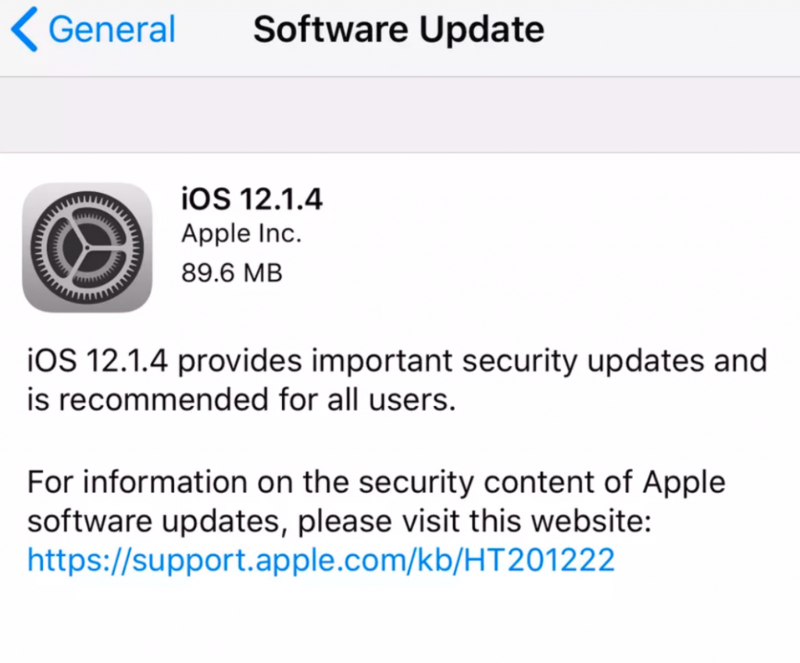 iOS 12.1.4 provides important security updates and is recommended for all users to install. Apple has updated the system status page, which shows that FaceTime group chat has been re-launched, but needs to be updated to the latest iOS 12.1.4, while the FaceTime group chat feature remains disabled for users of the previous system. Considering that it took Apple nearly two weeks to fix this problem, the FaceTime group chat bug may require some significant internal changes to FaceTime. After today’s update, this vulnerability will no longer be exploitable by malicious people.